This verse-by-verse study of Mark 13:14-20 was taught by Pastor Barry Forder at our family service on 21st October 2018. In our verse-by-verse journey through the Gospel of Mark we are reviewing the Olivet Discourse – the private briefing that Jesus gave to Peter, James, Andrew, and John on the Mt of Olives on the Tuesday before His crucifixion. In this study, we look at what Jesus meant when he warned of the coming ‘abomination of desolation‘ – spoken of by Daniel the prophet! Obviously, the place to go to discover what this means is the book of Daniel! Within a year of Alexander’s death, the empire was divided up between his four generals, Antigonus took Babylon (later to be conquered by Seleucus), Ptolemy took Egypt, Cassandra took Macedonia and Lysimachus took Asia Minor. “And out of one of them came forth a little horn, which waxed exceeding great, toward the south, and toward the east, and toward the pleasant land”. We are now introduced to a ‘little horn’ that comes out of one of the ‘4 horns’ that arose after the death of Alexander the Great. So this horn is to come out of the remains of the Greek Empire; and we are told that he ‘waxed exceeding great’ toward the south, east and the pleasant land – Israel. 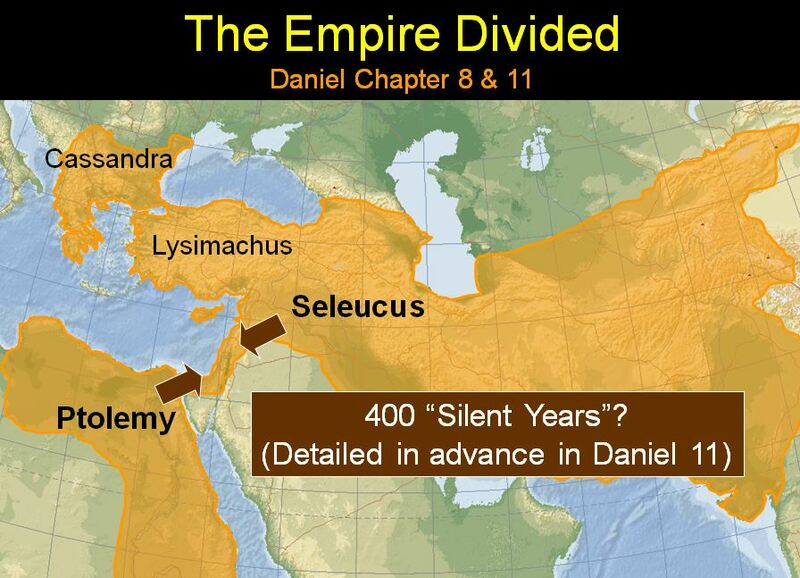 As Daniel chapter 8 continues we have described (prophesied) for us an event that occurred in 167 B.C. at the hand of one of the Seleucid kings, Antiochus Epiphanies. Antiochus was a part of the Seleucid Empire and according to the book of 1 Maccabees in the Apocrypha, and other historical records, Antiochus IV was the 8th king of the Syrian dynasty, reigning from 175 – 164 B.C. He ascended to the throne after the death of his father and imprisonment (by Rome) of his elder brother, Seleucus Philopator. Yet Antiochus was not the rightful heir, for Seleucus had a son. However, by flattery and bribery, Antiochus succeeded in becoming king. He invaded Egypt and defeated Ptolemy VI, but on his way back he stopped of at Jerusalem. Jerusalem was situated right in between the Seleucid and Ptolemaic empires and acted as a ‘buffer zone’ in between the two rival kingdoms. As you can imagine, the Jews were not very enamored by this, and upon hearing a false report of his death, started to celebrate. This met with swift and decisive action and Antiochus appointed a new high priest in an attempt to assert his authority. Antiochus put an idol in the temple (and ‘abomination’) and stopped the daily sacrifices. Here we see a model of what Antichrist will do, and this is what Jesus refers to as the ‘abomination of desolation’. That which Daniel recorded prophetically was just the dress rehearsal! The real event will soon be enacted on the world stage as a cunning political leader will come to the fore, agree a ‘covenant’ with Israel to allow them to resume their Temple sacrifices, only to turn on Israel after 3 1/2 years. The fact that the ‘model’ happened just as Daniel had prophesied, and with such incredible detail, we can be absolutely certain that the ‘fulfilment of the model’ will happen just as Jesus said. We are living now in the countdown to the Tribulation. Israel will have to endure the Tribulation, although God will protect them and bring them through. The Church, however, are promised a way of escape before the Tribulation begins. 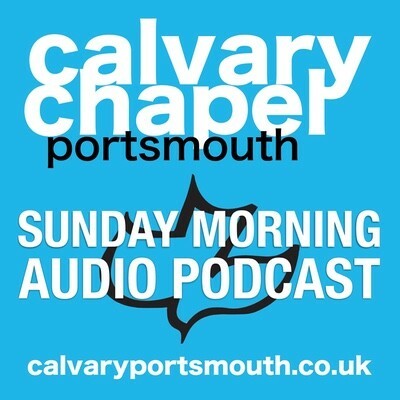 If you are not yet part of the Church, please come along one Sunday morning soon, or visit another Calvary Chapel or Bible-believing (and teaching!) Church. Brexit, Syria, Iran, Russia, an economic collapse etc. are just the rumbles in the distance that warn of something much greater to come! As usual, the Audio recording and Powerpoint slides used for this teaching are available for free download.